Holy princess head gear do I love this new velvet turban headbands trend. It’s a little funky, so don’t throw your felt hats at me, because I still love a good cowgirl hat, but velvet turbans are what my bed head hair will be living under this fall. Much like hats, turbans are ideal for bad hair days, or lets face it, LAZY days, because you can throw your hair up in a bun, throw on a turban and voila, you look like you actually tried! Plus it’s a unique style that not everyone is walking around in, so why wouldn’t you want to give it a try! 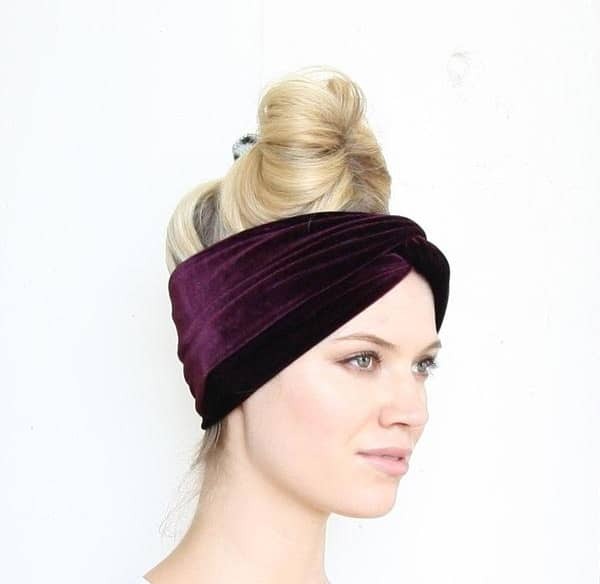 If velvet’s not your thing, that’s totally cool, just try another turban style on for size! Stand out, let your hair down (yes, even if it’s 90% dry shampoo) and try out this statement making trend this fall.